The Seahawks are headed to the University of Minnesota this weekend (4/2-3)! All the swimmers and coaches have been working hard for the last several weeks to get ready for the big meet. And everyone is looking great! 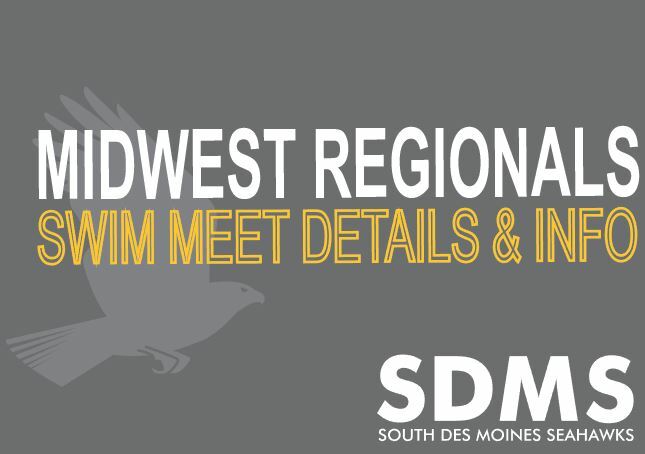 We’ll be aiming for new personal bests in the water and SDMS is looking to place higher as a team for the fourth consecutive year. With a meet this large, there are a lot of things to know. Read key meet details below. Afternoon warm ups begin immediately following the morning session end (by pool). Warm ups last for one hour. We will plan to post when the first session ends (for both boys and girls) on Facebook, Instagram and Twitter. Afternoon warm ups begin immediately following the morning session end (by pool). Warm ups last for one hour. Check the MYAS website at any time for updates. Plan on arriving early! It is important for the morning swimmers to be there to help coaches hold a team area on the bleachers. SDMS typically tries to secure the same spot every year – the first set of bleachers on the NORTH SIDE of the pool, halfway down the deck between both pools. Remember, swimmers MUST have a bag tag with them to gain entry to the meet and be on the deck. Please ensure the bag tag is firmly attached to the bag as part of your meet packing and preparations. All weekend passes purchased through SDMS have arrived and been handed out this week at practice. If you haven’t received yours, be sure to grab it at practice. The SDMS Midwest Regionals t-shirts and caps have arrived! We’ve been handing them out to swimmers all week at practice. If you ordered one as a fan, you can pick up yours at practice too.